I've seen something rather rare in a German pub: a guest tap, by which I mean a tap allocated to guest beers. I'm keen on the idea of guest beers for two reasons: they contribute to a growing awareness of beer that could help stem the decline on German brewing, and because it reminds me of home, where a shifting range of beers is common. 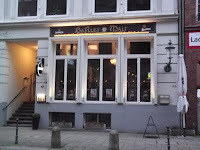 It's in a new pub in Hamburg called Barley & Malt – so new that Google Maps doesn't know it, and still shows the address as being occupied by the cocktail bar that was the previous tenant. It's on mediaeval Deichstrasse, with its touristy shops and restaurants, not far from the Bundesbank and the historic Speicherstadt free-port with its bonded warehouses. Although it's an Irish-themed pub, there is more than just Guinness on the bar. For the lager drinkers there is Pilsner Urquell, and for anyone missing their cider fix there is Stowford Press. 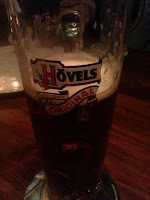 For bitter drinkers there is Hövels Original – this delicious amber-brown bitter Altbier from Dortmund is quite widely available now in its unusual flip-top bottles, but I'd never had it on draught before. And there is a fifth tap which has been allocated to guest beers – currently this means Grimbergen Dubbel from Belgium, and yes, that means only one of the five taps serves a German product. This is a tad unusual in my experience, though it's possible this is because I tend to avoid themed pubs... It might also be a sign that a lot of the clientèle is non-German, or at least Anglo/Celtophiles! 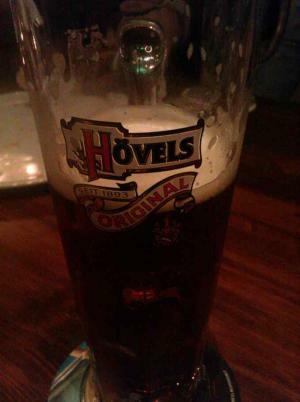 Gastbier for Gastarbeiters? 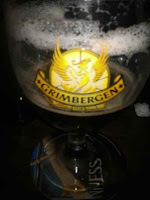 The Grimbergen was served too cold, but once the chill had lifted it was rich and tasty, with a winey plummy nose and a fruity dry-sweet and tart body with notes of treacle toffee, green apples and faintly of strawberry. The very helpful manager said he still had a couple more kegs of it to sell, then he would put on something else – he added that he has no particular policy, it's a case of what his supplier can get him that's interesting. Sounds good! It's a nice friendly pub too – pretty quiet when I arrived before 7pm, but heaving by 10pm – though the karaoke that started at 9 was at least partly responsible for this. And while it was loud, it was not oppressive, which was just as well as I was there for a meeting of the new Hamburg home brewers group, Hobbybrau Hamburg. Some of the others had brought samples or recent brews to share, and several of them were really very good. 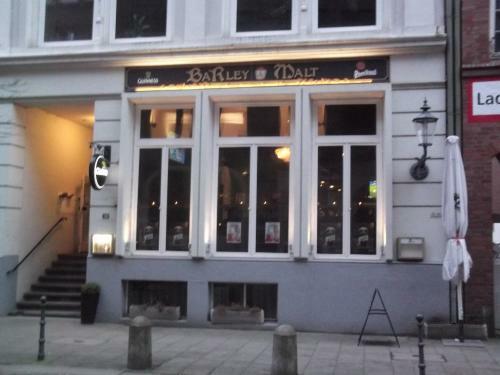 Anyway, if you're in Hamburg and looking for something beyond than the regulation North German Pils, then Barley & Malt is well worth a try. There's food on offer too – bar snacks, plus pizzas and their even tastier tomato-less German cousins, Flammkuchen.Yum yum! 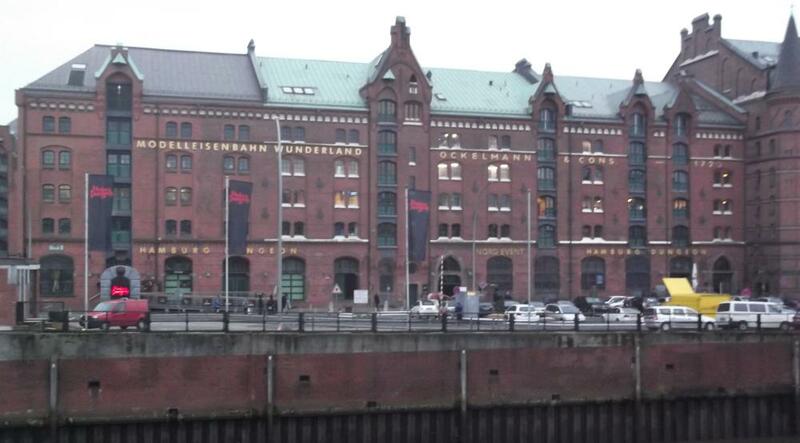 Are Germans losing their taste for beer?